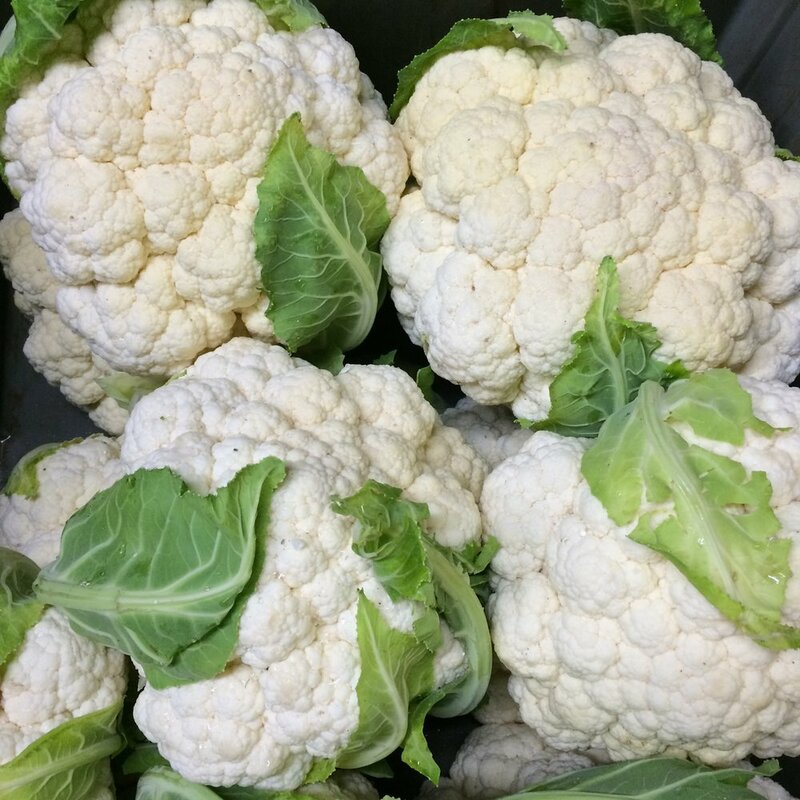 All produce in our CSA boxes is grown by us, thanks for supporting Veteran farmers! Click here to sign up for our 2019 CSA season! Click here to see our sample CSA boxes. Our CSA Shares are a kit for healthy eating; deep nutrition made easy! 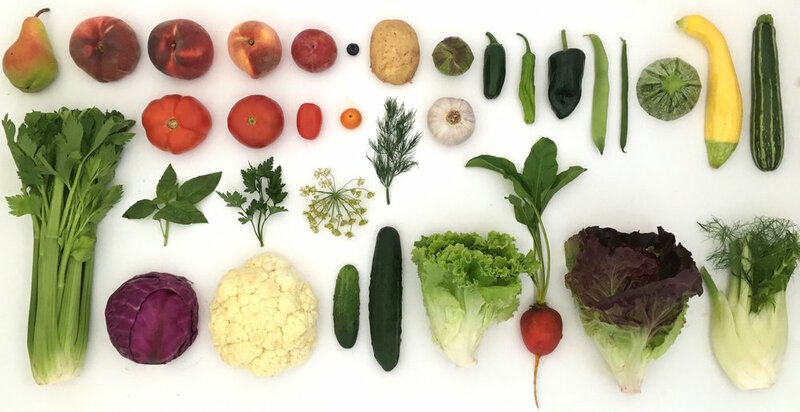 Helsing Junction Farms' CSA delivery runs for 20 weeks from mid June to mid October. Each week our members receive a pre-packed box containing 7-15 items, depending on which size share they choose. 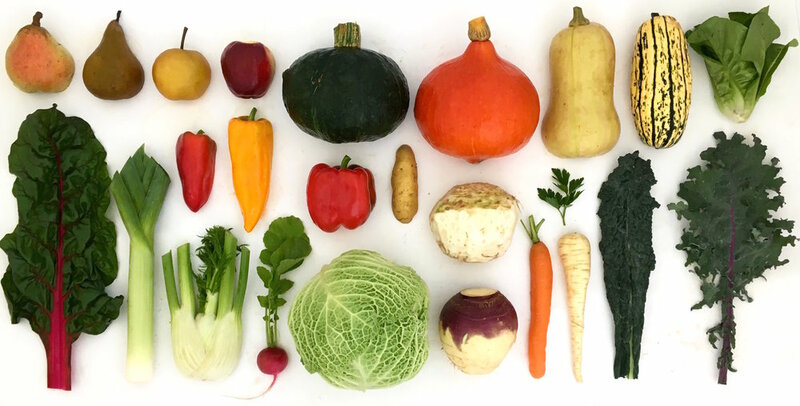 The contents of our CSA boxes varies widely as the season progresses; from strawberries and fresh peas in spring, to potatoes and winter squash in fall. Click here to see our sample CSA boxes. CSAs provide access to local organic produce at very fair prices. You end up eating a lot more vegetables and you learn to enjoy many new things such as Shishito peppers or fresh fava beans. Join a CSA program and become part of the growing movement to keep water and soil safe as well as maintain open spaces and farmland for the future. 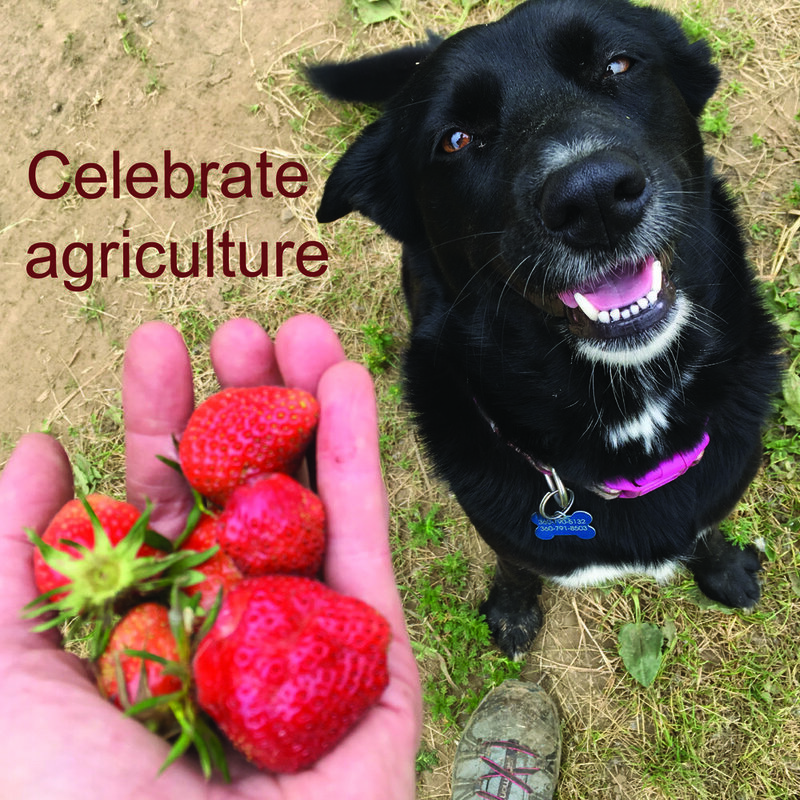 CSAs put the culture back in agriculture! Our primary goal is to provide our CSA members with the most nutritionally complete vegetables and fruit we can grow. We make caring for our soil a priority. We test our soil twice a year so that we can correct any imbalance and we apply trace minerals, cover crop extensively and practice minimal tillage. Vegetables grown in healthy, nutrient rich soil look and taste amazing! We are a true CSA in that almost everything grown on the farm goes to our 600 CSA members. This makes being a part of our CSA a unique experience, as you will be directly connected to the source of your food. You’ll hear the stories of the people who grew it and explore the place it came from with weekly photos, farm news and a farm visit should you wish to harvest yourself some carrots or eat ripe Sungold cherry tomatoes straight from the vine. We also team up with local producers to provide our CSA members with access to organic fruit, honey, yogurt and sauerkraut, which are available via our online store or as a separate CSA share. Helsing Junction Farm was founded in 1992 by Annie Salafsky and Susan Ujcic as one of the country’s first CSA operations. Both are graduates of The Evergreen State College and have deep roots in agriculture. The farm began as a 75 member CSA and over the years has slowly expanded to its current size of 1,000+ shareholders. The partnership between Annie and Sue has grown to include their families as well as the families of the people who work with them. It’s a group effort now, with great pride taken in the health and fertility of the soil as well as the beauty of the produce grown. We believe that everyone should have access to fresh produce and we have partnered with area food banks in a variety of ways. In 2001 we created a CSA Food Bank Program. Each season we accept donations from our members, which we then match, allowing us to deliver produce to families who rely on the food bank for some of their dietary needs. We also partner with The Gleaners Coalition, a non-profit based in Thurston County that organizes volunteers to harvest all our seconds, which are then donated and delivered to a variety of food banks and shelters throughout the county. Last year alone, they harvested over 20,000 pounds of produce from our farm! Make a left into the 2nd driveway (the gravel one) at 12231 Independence Road SW. Follow signs for parking or park along our fields. Please do not park in any driveways or roadways. If you wish to schedule a tour of our farm, please contact our office at helsingfarm@gmail.com. Helsing Junction Farms is a working farm. Please keep to designated areas and exercise caution around all machinery and farm implements. Across from 12013 Independence Rd SW, you should see our farm stand sign on the gravel drive on the other side of the street. Our farm stand is open mid June-early November from 8am-8pm and stocked with what is available from our fields. If you need to pay using EBT please call/text our office at 360-273-2033. Helsing Junction Farm has long been known for hosting events. From our annual Helsing Junction Sleepover along with K Records, to providing an event space for the annual Capitol Land Trust Gala, we know how to host a celebration! We are excited to provide a natural and rustic event venue to host and celebrate weddings, reunions, fundraisers, music and theater performances. Nestled in the Independence Valley on the edge of a 50-acre Certified Organic Vegetable farm, this venue boasts views of surrounding wooded hills, a peek at Mount Rainier and close proximity to the majestic Chehalis River. Imagine strolling along the secluded lake behind our farm, taking a sunset walk through our flowering lavender, or relaxing under our ancient Weeping Willow tree. We are conveniently located off of I-5, 20 miles south of Olympia and 1.5 hours from both Seattle and Portland. Call us at 360-273-2033 or email us at helsingfarm@gmail.com to set up a visit. Rental of our farm includes your choice of any of our on-farm outdoor venues, 48 hour use of our venue, rustic camping and more! Contact us for further information about what rental includes. Our 48 hour rental period should be ample time for set up, ceremony, pictures, reception, camping and clean up. Extended hours are available for an additional fee. We have a hand-picked list of local farmers, artisans and businesses that we trust you'll love. Chicken, pork, and lamb from our neighboring farms will add a delicious local flavor to your event. Paired with our own vegetables and fruit, your guests will be delighted at the farm fresh taste of every dish. Our on-site florist can help you with your floral needs for your event and is willing to work with any size budget. Helsing Junction Farm is a 50 acre organic farm located in Rochester, Washington. We are located in Independence Valley, an agriculturally rich farming community about 25 miles south of Olympia. 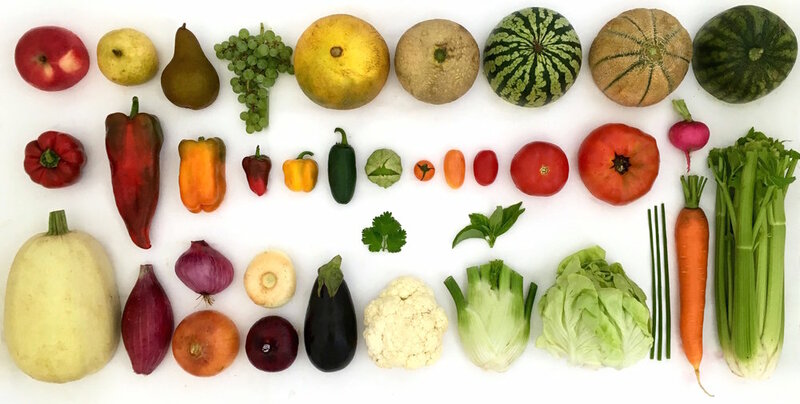 We operate a 1100+ member CSA, delivering from Portland to Seattle and many places in between. In addition we do a smaller amount of wholesale and direct to business sales. Helsing Junction Farm does not discriminate on the basis of ethnic origin, class, gender, age, or ability.